This line from Beauty is Everywhere, a poem not included in One of a Kind, a collection of Jack Micheline’s thoughts, poems, stories, and scribbles recently published by Ugly Duckling Presse, summarizes as briefly as possible Micheline’s artistic thrust. A Beat (or, as sometimes classified, Post-Beat) street poet whose writings focused on the grit of New York City and its fringe-most inhabitants, Micheline’s poetry stumbles across the page with one foot in a bar and the other slipping off the curb. The anti-Poetry poet, he was a friend of artists ranging from Charles Mingus to Jack Kerouac to Franz Kline. Though overshadowed by the bigger Beats and Charles Bukowski throughout his life, he is generally regarded as a similarly talented writer whose work sometimes bridges the gap between Bukowski and Ginsberg. In One of a Kind, Julien Poirier had the opportunity to bring together a collection of previously unseen materials from Micheline’s archives in Tucson, AZ. A clearly passionate editor, Poirier describes his process in the book’s introduction, setting forth and breaking a loose collection of rules by which he put together a book that is, more than anything else, an imitation of the hand-bound books that Micheline used to hawk on the streets of New York. Neither a collection of strictly unpublished poems (only 70 out of the book’s 155 pages are poems) nor a retrospective of Micheline’s previously published stronger works, this collection falls somewhere in between. As a blend of the raw original text and occasional brushing up, the book is an interesting, though scattered, mix from Micheline’s oeuvre. 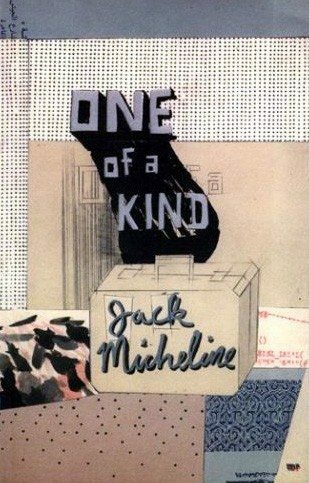 While One of a Kind is not a good introduction for the uninitiated Micheline reader, at least in terms of his poetry, some of Micheline’s defining tics can be seen across the collection. His fascination with jazz and blues rhythms lays the beat for many of his poems, including several untitled pieces (referred to as “notes” in the book) and Cook It Slowly Mama I’m Coming Home. His subjects range from horny priests to blind immigrants and cross-dressing prostitutes, shining a dim light in the corners of the city. However, his light often flickers, and many of his poems, despite flashes of original imagery or strong lyricism, feel flat overall. One notable exception is Muscatel, where the spacing, pacing and vocabulary form the most striking example of Micheline’s poetic talent in the book. 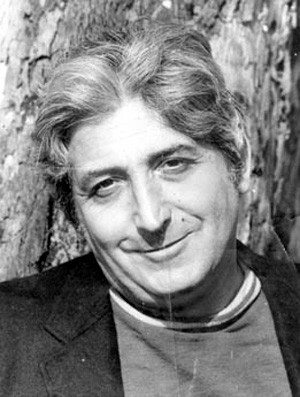 The strongest part of One of a Kind comes not in Micheline’s poems, but from his stories. These are, to use Poirier’s word, salty tales, short pieces with wild characters and stinging movement. Bolo, The Chickens Against Man, The Purple Submarine…nearly all of the stories included are smart, dirty pieces that showcase Micheline’s ability to observe details, and create out of them. Unfortunately, were I not reviewing this book, I would have probably stopped reading Micheline after the appendix, where the Imaginary Interview and Letter to Kerouac in Heaven offer a nice close to the collection. For what it is, an imitation of a hand-made manuscript, One of a Kind captures a sense of Micheline’s mental workings. As an introduction to a widely unknown writer it is an insufficiently charged magnet for drawing new readers to his work.